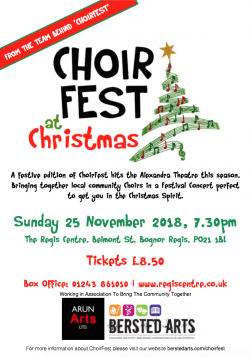 The Igloo Choir are thrilled to be taking part in this lovely Christmas concert in Bognor. Click the poster for tickets! Belmont Street. PO21 1BL Bognor Regis. West Sussex.